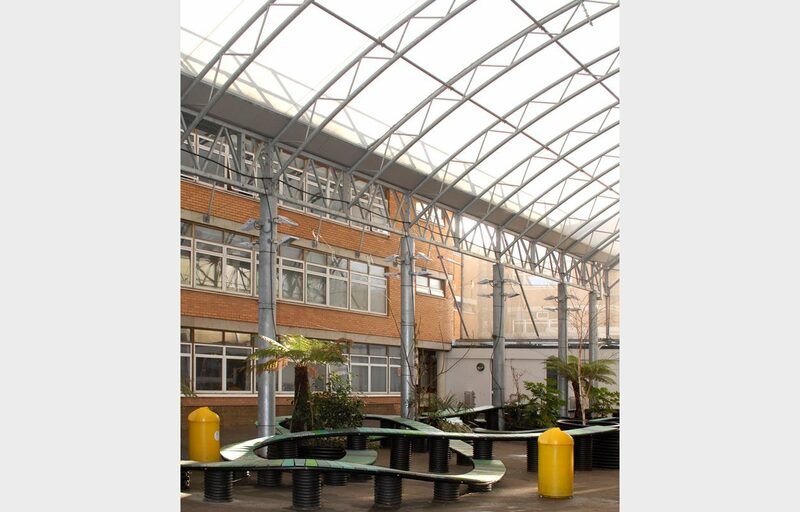 Bespoke atrium canopy encloses underutilised courtyard space. 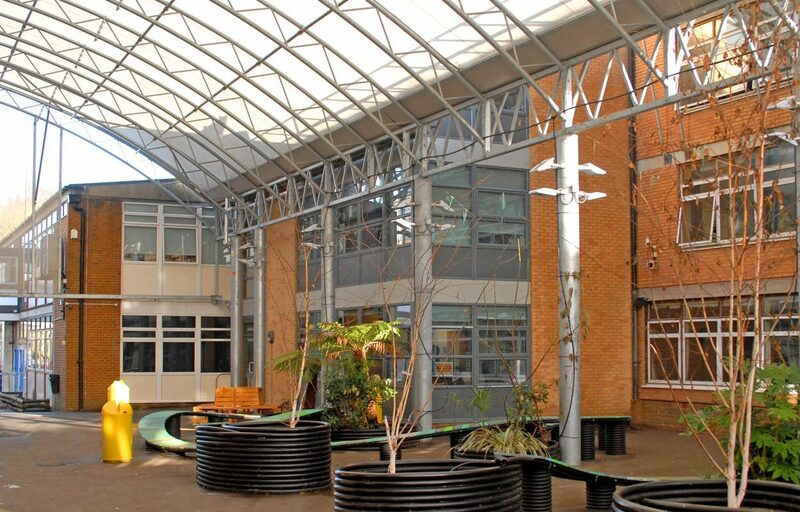 A dual span atrium canopy covering 510m² was designed and built for Longhill High School, East Sussex. The steel taper trellis structure clad in Opal 20 roofing fabric was designed to enclose an awkward courtyard space in between two existing buildings. 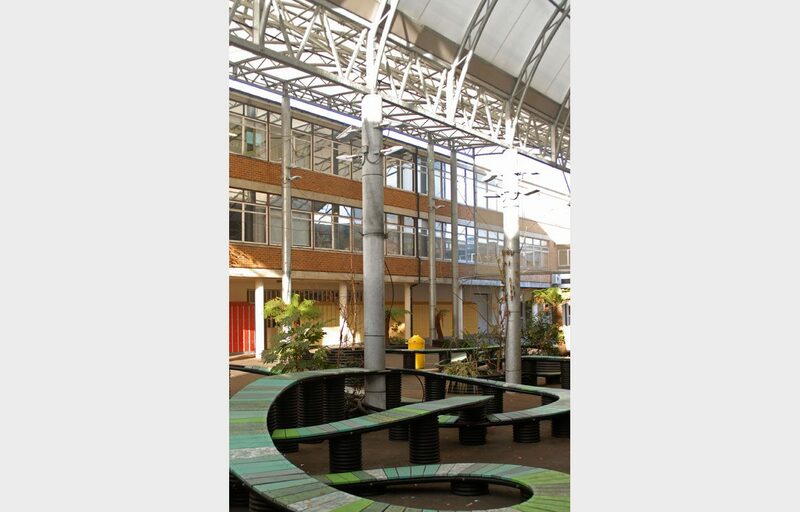 This previously underutilised school environment can now be used for students to congregate in inclement weather before school opens; but can also be used at break times and lunchtimes for socialising, additional alfresco dining space and for evening use by the school or even the community. 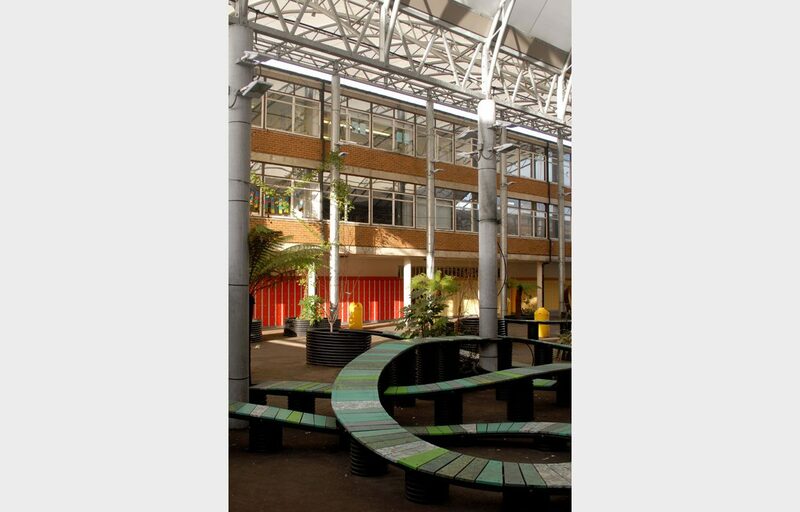 Fordingbridge’s in house manufacturing, fully compliant with current legislation including the new CE marking (BSEN1090), ensures the school receive precision in design and speed of manufacturing to their convenience.